The undisputed heroes of the early 80s skinhead scene, The 4 Skins were one of the mainstays of the second-wave of British punk commonly known as Oi! They endured major line-up changes, going through four lead singers including, at one point, their manager, and recorded three albums in the early 80s. 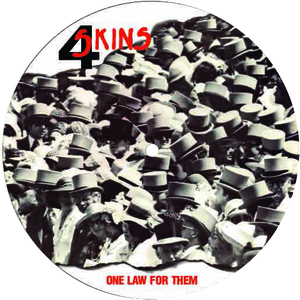 The 4 Skins’ last release before splitting in late 1984 was Live From Chaos to 1984, recorded in a studio before an audience of invited friends.